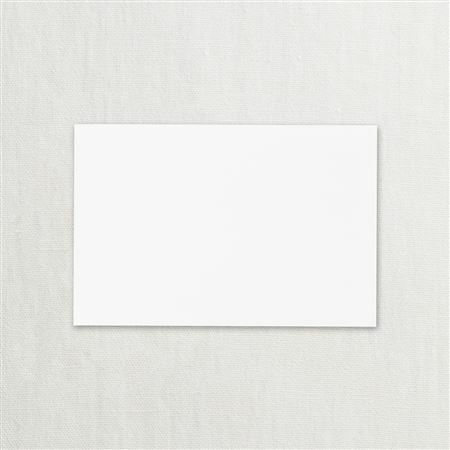 Order your Crane Cards White today from FahrneysPens.com. Fine Pens, Refills & Luxurious Gifts – great prices & fast shipping. One of the most useful items you'll have in your stationery wardrobe, especially if you don't have a lot of time to write. Designed for hand- writing of informal invitations, personal memos, Thank yous and short notes, they are too heavy to computer print. This versatile piece of stationery is a basic part of anyone's stationery wardrobe. Each Pearl White Kid Finish´ 96 lb. flat card measures 4 1/4 x 6 3/8 inches. Box of 25 cards only. We recommend the matching envelopes to complete your set, sold separately as item #PE3111.